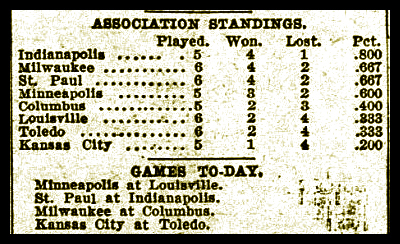 The millers won a tight one in Louisville yesterday, 2-1, a “brilliantly played game,” according to our man in Louisville, though there were four errors in the game. Gene Ford got the win, giving up 6 hits and a walk while striking out five. 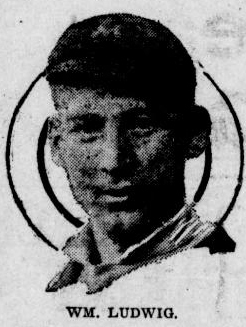 Ford also scored the winning run in the sixth, getting a hit, going to second on a sacrifice, to third on an error, and coming home on a fielder’s choice. It’s miller time! The colonels lone run came in the second. Brashear singled, then went from first to third on an infield out, a grounder to short. Not sure how that’s possible, but there it is, black and white. Brashear must have blazing speed? Anyway, he then scored (probably easily) on a fly-ball out. 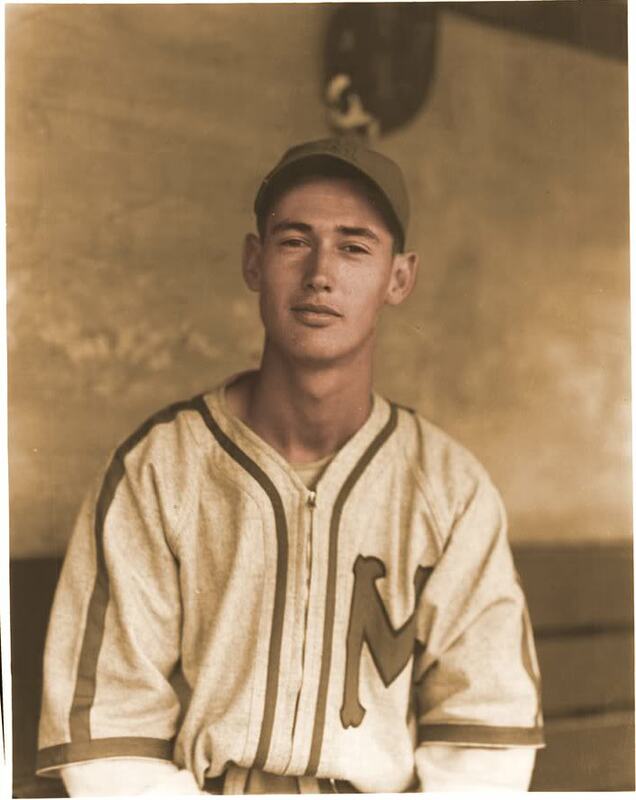 Denny Sullivan tied it up for the millers in the bottom of the frame (YES, the millers are batting last, though the game’s in Louisville. What’s up with that?) hitting a long home run (!) into the center field pasture. Catcher Weaver has a cannon for an arm, apparently, catching four of the five colonels attempting to steal. McNichol was at third again, and handled eight changes without “a skip.” He also dazzled in a double play in the ninth: with runners on first and second, Hart hit a stinger down to McNichol. He stepped on third for one and tossed across to Lally, but too late to catch the speedy Hart. Lally, though, noted that the runner from first had rounded second and was headed to third, and he gunned the ball back across the diamond to McNichol, who applied the tag for the out. Score that 5-3-5, folks, and some heads-up ball by the millers. The colonels love to run too, apparently. 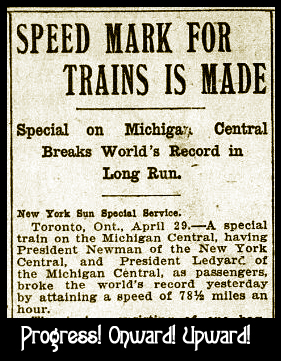 Meanwhile, our scribe gets a few column inches to provide analysis, and, yes, the millers are speedy. Speedy speedy speedy. Everybody agrees. Can we give it a rest for awhile? McNichol and Demontreville are having a good contest for third base, with McNichol playing a bit better, but Demontreville has not been released yet because of Fox’s sickness. It looks like Watty will hang onto them both for two or three weeks. Fox is in there playing, yesterday, but I guess Watkins like to have a little depth on the bench. Hitting is a concern. Only 51 safeties in six games, our analyst reports, which, using a little 1904 sabremetrics, breaks out to just eight and a half hits per game: “This is not good enough batting to suit the fans entirely, but six games is hardly a criterion of the team’s real strength.” Yes, I think I get what he’s trying to say. He’s right. Hardly a criterion. Finally, catcher Weaver looks good, as does Leslie. Our reporter thinks that Leslie will probably play most of the games, as long as he keeps hitting. Meanwhile, at UW Madison, it’s the same old same old. “Seranaded the professors?” I can imagine what that was like. But I’m not sure what happened with the “vaudeville performance.” Why do I suspect that beer was heavily involved with this? Anyway, thank the lord that the police were on hand to break up the shenanigans. 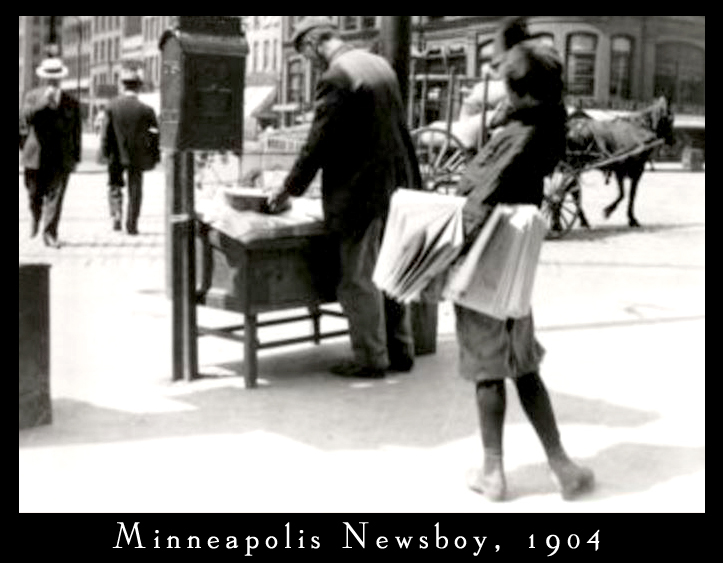 I suspect that that’s the last we’ll hear of Mr. Larue of Chicago and Mr. Davies of Davenport. …and I suppose I should make some note of that. There isn’t really a word for what they were. Anyway, I’ll have to touch base with the Twins soon — and forgive them — and get up to speed on the doings over there. And I should also let all you Blaze fans know: The Louisiana Blaze, my team in the National Pastime Baseball League, are Champs! Yes! Yes! Champions of the NPBL! We RULE. I think more on this later. There were at least a couple good stories there. Suffice to say that “We rule!” and also that it’s also spring training in the NPBL, and last year is last year, we have left it behind and are thinking of the future and planning for the coming season. 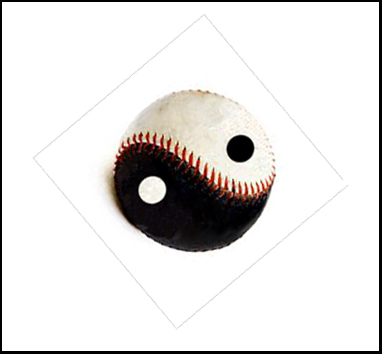 Which makes me think that baseball is a zen sort of sport. There’s no yesterday, and there’s no tomorrow. There’s only NOW. And now the Blaze are working on the usual drills, enjoying an off day after winning a 5-3 spring game yesterday. And the Twins are also enjoying an off day after winning a 2-1 win spring game yesterday. And everything is good. The millers lost yesterday to the colonels in Louisville, by a 3-1 margin. 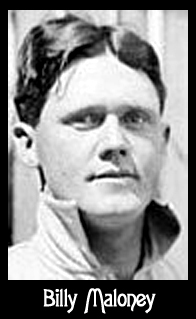 Watty’s colts only managed four hits off the colonel’s Egan, while the elongated Stimmel also tossed a fine game, giving up only six hits himself. Sad to say, poor base running may have played a part in the loss. Watkins can’t be happy about that. Apparently Maloney got caught napping at second base. I assume that means he got picked off? Ouch! Maloney also got a couple of hits and sparkled out in right field, but I would think that Watkins will overlook those redeeming points and talk to him seriously about the importance of being highly alert while on the base paths. That’s probably going to be the nature of the millers’ offence this season: bunts, sacrifices, stolen bases, maybe an error thrown into the mix. I guess, in 1904, that was pretty much the nature of the game. Nowadays we think of the pre-Babe Ruth years as the Dead Ball Era, but back then it was just baseball. Nobody even noticed that the ball was dead. 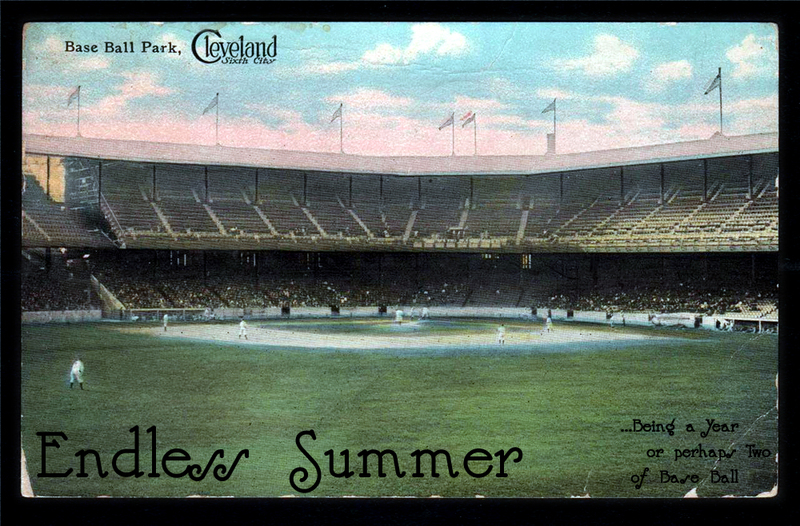 It was just part of the Great American Pastime. It’s a good thing that Watty has assembled a stable of speedsters. On that note there was an interesting comment by Watty, in yesterday’s paper, I think it was. His theory is that it’s very difficult or impossible, really, to find much good hitting at this level of the game. If a guy shows he can hit, he gets snapped up by the big leagues. And that’s why he’s so focused on speed. Hitting across the league will be weak, and so he believes that the fastest team will create the most runs and thus come out as champions in the end. As long as they are awake out there on the base paths. Yesterday, more bad weather, but they played anyway and played well. One error for the colonels, none for the boys from Minneapolis. Demontreville was sick, but McNichol played well at 3rd. 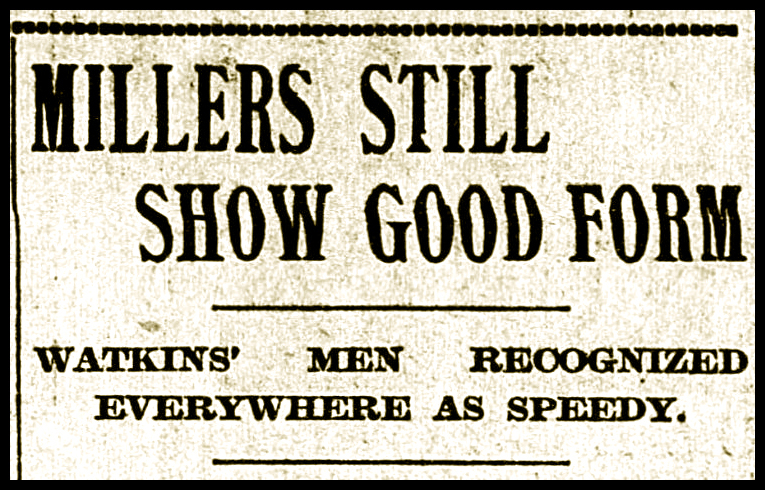 Oyler was excellent at short. Watty says he will release both Ludwig and Roach shortly. Ludwig is apparently not fast enough, while Roach’s work “has been indifferent.” I wonder why he hasn’t released them already. Must be no fun for them. I hope he’s talked to them, and they don’t just read it in the papers. Maybe he’ll yet change his mind about Ludwig, who’s a fan favorite, a game player, and a fine young man, though perhaps not so fast. Young Munch may twirl for the millers today. Census records seem to indicate that Gustave was born in 1876, which would make him about 28 in 1904. Which makes me wonder how old the rest of these guys are, if he’s “young” Munch? wouldn’t mind having these two Millers in my starting lineup. 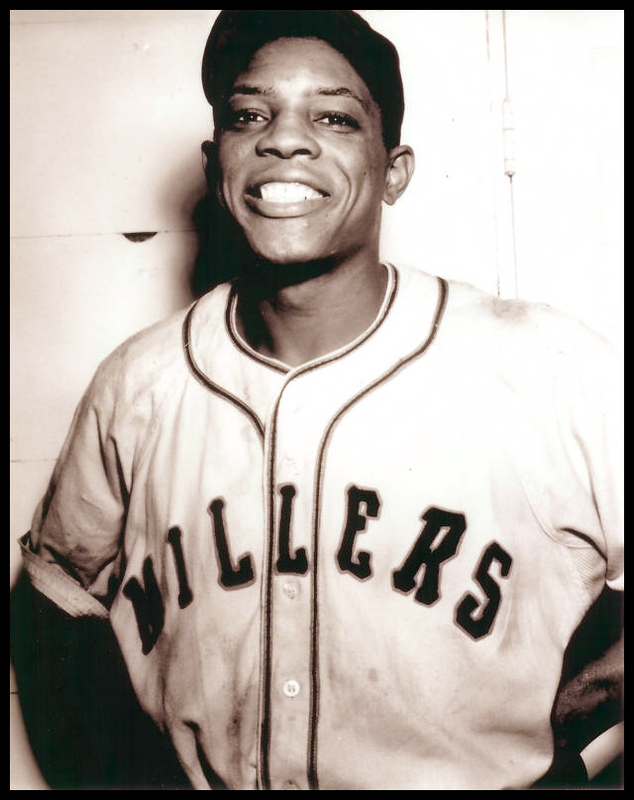 Man, yesterday it was Willie Mays birthday! Happy birthday, Willie! Born in 1931, Willie turned 83 yesterday. What can you say about Willie Mays? Probably one of the two best Minneapolis Millers ever! That’s all.